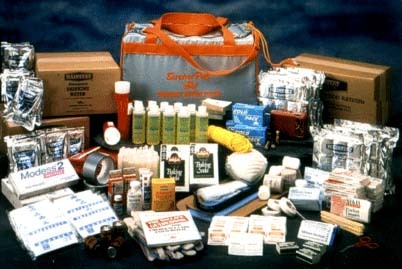 The first two emergency survival support units are designed to sustain two people for 3 days. 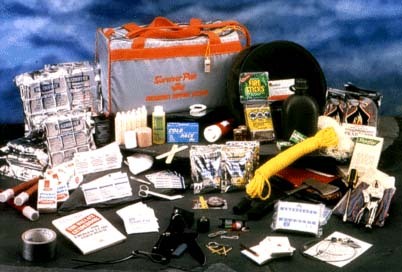 These 72 hour kits are popular with law enforcement, can be stored in military or civilian vehicles, planes or even in your garage or basement. 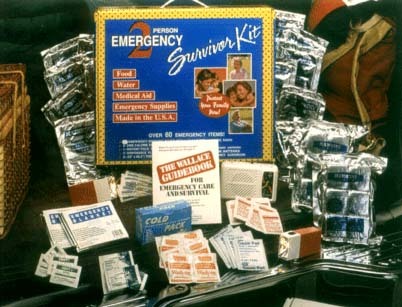 Also find our family & small business survival support units designed to sustain for longer than 72 hours. Whether your idea of adventure includes hunting, fishing, or scaling an icy glacier, its much easier to enjoy the great outdoors when you know you have the basics covered. 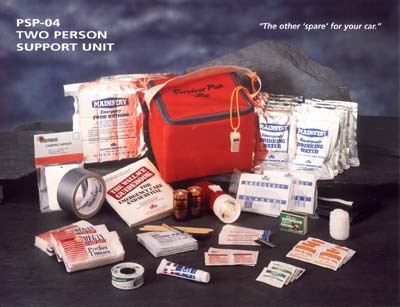 Designed by a team of survival experts, the PSP-01 can support one person for six days or two people for three days with a complete array of medical and general supply items. The size of the PSP-01 makes it a convenient travel companion that fits easily into a suitcase or car trunk. If desired, the kit can be imprinted with your company name and logo when ordered in quantity. No one likes to think about emergencies, and with the FSP-05 you dont have to! The space saving design combined with its ample supply of food and water makes the CA-20 a popular choice on board fixed wing, rotor craft, and corporate jets. 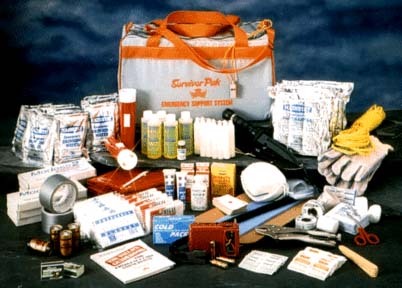 Its also used extensively by Search & Rescue units! 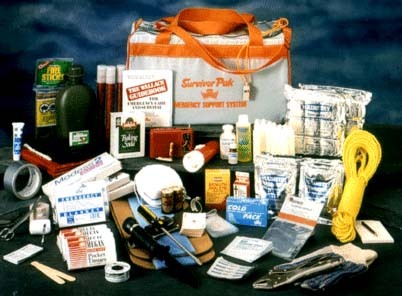 This unit contains over 500 items to help you be prepared for almost any kind of emergency. 1 Mouthwash, 4 fl. oz. 100 Aspirin Tabs, 5 gr. 6 Mainstay Water Packs, 4.06 oz. 1 G.I. Style Canteen, 1 qt. 1 Duct Tape, 2 in. x 10 yds. 6 Garbage Bags, 30 gal. 1 Manual - "The Wallace Guidebook for Emergency Care and Survival"